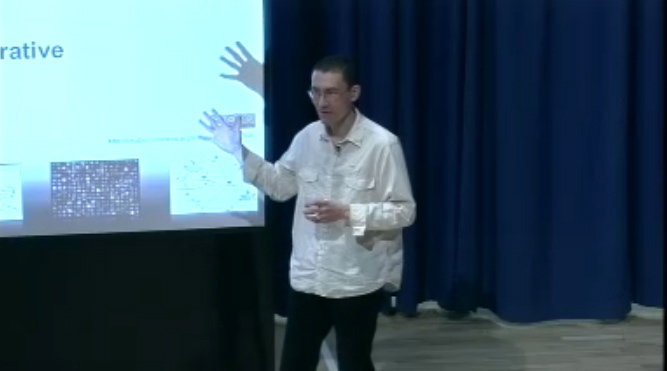 As part of our university-wide doctoral training programme, which we’re opening increasingly to the world as open educational resources, here’s the webcast and multimedia resources from my keynote at last week’s Open University Research Methods conference. The Cloudscape from this event, which was live-blogged, is itself a great resource to mine (see also the Research Skills clouds). In this talk I will introduce the work of the Hypermedia Discourse Group at the Knowledge Media Institute, which is focusing on how software tools may shape the future of scholarship. Our particular interest is in how new forms of narrative can emerge through the use of hypertext tools that treat ideas, problems and arguments as coherent networks of nodes. This enables us to reframe qualitative data analysis, and scientific publishing, as the construction of narrative networks, grounded in primary sources. I will illustrate this with examples from projects including the NASA Mobile Agents project, the Hewlett Foundation OLnet project, and the AHRC+EPRSC+JISC e-Dance project.